While driving through the lignite coalfields of western North Dakota, the wind-blown plains open up into mostly tree-less vistas, with ranches dotting the landscape. Though it’s one of the least populated states of the continental U.S., in many ways, North Dakota is one of the richest. In the northwest corner of the state lies the Bakken oil formation, the largest oil reserve in America. Wind farms are being built all over the state. From a high point at the edge of the coalfields one can look eastward and see their blades turning, looking westward, one can see a handful of power plants, and in between, one can watch the booms of a few draglines gracefully moving back and forth. Not only is North Dakota rich in energy, its coal-fired power plants use some of the most advanced clean coal technologies in the country, and they’re getting cleaner by working to capture and sequester more CO2 and installing more emissions controls. As this happens, the power plants are increasing the lengths of their already long-term contracts, ensuring that those draglines will keep running well into the middle of the 21st century. North Dakota’s lignite coal industry is mainly located in three counties in the central part of the state, about 80 miles from Bismarck. 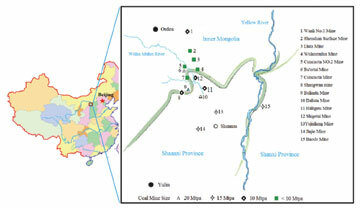 Within this region, six power plants generate almost 4,000 mw of power. The state’s mines produced approximately 30 million tons in 2008, a pace they have maintained for more than two decades, from a nearly 25 billion ton reserve base. According to Steve Van Dyke, director of communications at the Lignite Energy Council, one out of every 14 jobs in North Dakota is related to the lignite mining industry. “This is a thinly populated state. Mining provides 4,000 direct jobs and 24,000 indirect jobs. It’s a major part of the regional economy,” said Van Dyke. By steadily producing 30 million tons annually, the lignite industry has been able to contribute nearly $100 million to the state every year. Among the largest surface mines in the country, these operations all efficiently extract low-Btu lignite using draglines and large fleets of mobile equipment. Each is virtually a mine-mouth operation, wed through long-term contracts to one or more power plants. The mines coordinate with the power plants for their long- term planning, as well as their quality control, sampling and blending the extracted lignite to their customer’s precise specifications. Some companies are also attempting to sell coal regionally, and there is a possibility of one new surface mine opening as a merchant mine. “The power plants came first because there was an abundance of low-cover, low-cost lignite. But they don’t burn lignite because it’s easy, they it burn because it’s cheap. The cost per million Btu is somewhere around $0.80, compared to other coals that are about $1.30 per million Btu. So in the long term, with the economies of scale, our lignite is more than adequate,” said Wade Boeshans, operations manager, BNI Coal. While the majority of the U.S. coal mining industry faces increasing uncertainty, up in the Great North, these lignite mines are confident in their ability to supply baseload electricity for decades to come. With 20- to 40-year supply contracts in hand, the region’s mines are able to innovate, experiment with new equipment, and confidently plan for the future. While wind farms fill the space around the mines, the mines are still buying new equipment, hiring new workers, and confidently preparing to mine through the middle of the 21st century. The majority of North Dakota’s coal production comes from four mines located in a small area west of Bismarck. Among the most productive of these are North American Coal Corp.’s (NAC) Coteau Properties’ Freedom mine, NAC’s Falkirk mine, and BNI’s Center mine. Located on the northeast side of the main lignite coalfield, NAC’s Falkirk operation started mining in 1975 and delivered its first load of coal to Great River Energy’s Coal Creek Station power plant in 1978. Rated at 1,100 mw, it is North Dakota’s largest lignite-fired power plant. With more than 30,000 permitted acres spread across three active areas, Falkirk’s average annual production is between 7.5 and 8.1 million tons, depending on the power plant’s needs. Falkirk and GRE have developed a collaborative relationship toward the plant’s electrical generation over the three decades they have been working together. “We engineer our mine plan around their needs, conducting our mining operation for what results in optimal electrical production going out of Coal Creek,” said Randy Crooke, one of Falkirk’s managers. The mine develops their production plan on a short- and long-term basis every year, working with GRE starting in May and finishing in July. “We’re so integrated that they are sitting in on our weekly production meetings. This gives them first-hand knowledge of what’s going on in the mine, and helps us to plan for their needs. If they have an outage coming up, we can plan our production around that too. From an operations perspective, we’re also as close to seamless as you can get. But despite the business relationship, they are their own company, and we are too, related and married through a contract that’s projected to run through 2045,” said Crooke. Falkirk mines from the A1, A2, and B seams. The A1 and A2 are approximately 8- to 10-ft thick. Beneath them lies an interburden which varies from a few inches to 20 ft. This is followed by the B seam which is 2- to 5-ft thick. The average thickness of the combined seams is between 11 and 14 ft. The task of removing the overburden falls to Falkirk’s two Marion 8750 walking draglines, named Prairie Rose and Chief Ironside. Each of the dragline’s buckets can move up to 125 cubic yards (cu yd) of earth or 162 tons of material with each scoop. 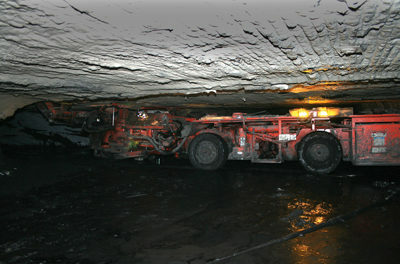 To haul their coal from the pit to the power plant, the mine employs a fleet of 160-ton Kress haul trucks. On the west side of the coalfield near Beulah, the Coteau Properties Freedom mine employs 400 full time employees and produces roughly 15 million tons per year (tpy) out of the 17-ft thick Beulah-Zap Seam, accounting for half the state’s total production. Not only is it the largest lignite mine in the country, but with 50,000 permitted acres spread across some 200 square miles, it’s also one of the most expansive. Freedom’s only customer is Dakota Coal Co., a subsidiary of Basin Electric Power Cooperative. Dakota Coal provides this lignite to two of Basin’s power plants, the Antelope Valley Station and Leland Olds Station. Dakota Coal also supplies lignite to Basin Electric’s Dakota Gasification Co. Great Plains Synfuels plant—the nation’s only commercial-scale coal gasification plant and perhaps the cleanest coal plant in the nation. They gasify the coarse product into pipeline quality synthetic natural gas and, since they are unable to gasify the fines, they send them to the adjacent Antelope Valley power plant. Additionally, crushed coal is railed to Basin Electric’s Leland Olds power plant. “We’re the only mine in the area that does regular rail shipments. But all in all, I don’t think one ton of North Dakota mined coal leaves our state,” said Donn Steffen, staff mining engineer, Coteau. Dakota Gasification, in addition to having a full range of emissions controls, also captures CO2 and sends it to the Canadian oilfields via pipeline for enhanced oil recovery. Plans call for Antelope Valley to also begin capturing its CO2 and sending it to Canada through the same pipeline. As they’ve adjusted their mine plan, Freedom has begun the process of removing their overland conveyor system. Though this system was economical at one point, it now makes more sense to construct new crushing facilities, given the direction the various pits are projected to move in over the next several decades. “While they are not in-pit, they are in centralized locations. We have three dump sites and three crushers, each processing about 5 million tons a year. The conveyor was very economical, but now it doesn’t fit our future,” said Steffen. To move the coal from their various pits to the crushers or the power plant, Freedom employs a large fleet of 250- and 300-ton Kress haul trucks, the latter of which are unique to Freedom. “All of the Kress trucks are very efficient and economical, and we’ve had a great experience with them. They are flexible and very fast. Loaded, they can haul coal at 35 mph and return empty to the pit at over 40 mph,” said Steffen. Freedom also relies on two LeTourneau 1350s as its main front-end loaders. “We used to use electric shovels, and we still have one Marion machine, which is strictly a backup. The mobility of the LeTourneaus loaders is huge for us. We’re loading out of several pits all day and the loaders are highly mobile. That’s key for blending and coal quality control,” said Steffen. Like most mines, over the years, Freedom has begun mining in deeper cover. While today the average strip ratio is 6:1, it’s steadily increasing, necessitating the addition of a third used Bucyrus 2750 dragline to the fleet. “We’ve got two in operation, this will be our third. Like the others, it has a 120-cu-yd bucket and a 340-ft boom. We plan on it being in dirt by 2012. We’ll start erection next spring; [and] build it throughout 2010 and 11.” It’s a two-year process to fully erect it. Brought in pieces from a Midwestern mine, it’s been sitting disassembled and stored at Freedom waiting for its call to duty. “We’re now working on a bid package for contractors who would like a shot at rebuilding it,” Steffen said. In addition to the other two draglines, Freedom uses two electrical shovels, a P&H 2800 and a Bucyrus 495, equipped with 45- and 60-cu-yd buckets respectively. They generally work in front of the draglines and assist with pre-benching. “We move about 100 million tons of dirt a year to get our 15 million tons of coal. That’s a lot of dirt,” said Steffen. “At the moment, we’re doing lots of pit development, and recently we moved one of our draglines 9 miles from one side of the mine to the other. In coordination with the power plant, we crossed several of their transmission lines during one of their planned outages. That dragline is now positioned in our western reserves where it will operate for the rest of its term of usability and throughout the life of our mine, which will likely extend past 2035,” said Steffen. BNI mines from three seams: the Kenniman Creek averages 5 ft. Beneath that is the Hagel A seam which has an average thickness of 9 ft. Below both of those lies the Hagel B seam which is about 2½ ft thick. Each seam is separated by partings that vary by bed. “When we’re loading from the Hagel seam, we split it in half, load 5 or 6 ft each time in two layers. We load Kenniman in one pass. The Keniman and Hagel seams are sometimes 50 ft apart, sometimes 7 ft. The lower seams, Hagel A and B, sometimes become one seam as well. Generally in all of the areas we are mining now, the Hagel seams are split, sometimes they are a few inches apart, sometimes up to 20 ft,” said Boeshans. To remove their overburden, BNI relies on three draglines, a Page 736, a Page 757 and a Bucyrus 8200. The smaller Pages were built in 1969 and 1977. In 2004, when BNI purchased the 8200, it was the first new dragline built in the U.S. for domestic coal use in more than 20 years. “We strip all of the topsoil and subsoil, and do some spoil grading with scrapers as well,” said Boeshans. BNI also employs several CAT 992s front end loaders to load coal into their fleet of 180-ton Kress coal haulers, which quickly work the 6-mile circuit from pit to plant. 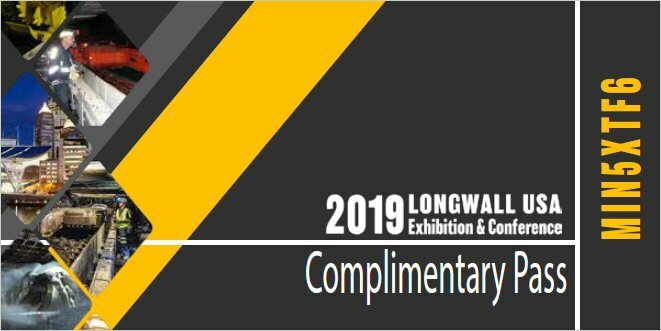 With such variable lignite qualities, precisely knowing the particular coal characteristics going into a given power plant makes generation and maintenance easier for each mine’s customer. Given how closely tied each mine is to their local clients, that’s really the bottom line. For that reason, in order to provide the power plant with the right fuel mixture, the mines have to blend what they extract while monitoring what’s being sent into the plant. Because of the rapidly changing coal quality, both Freedom and BNI measure their coal quality through on-line belt sampling. “By doing this, we know what we are doing, what we load and ship. It’s more difficult with a few different customers. 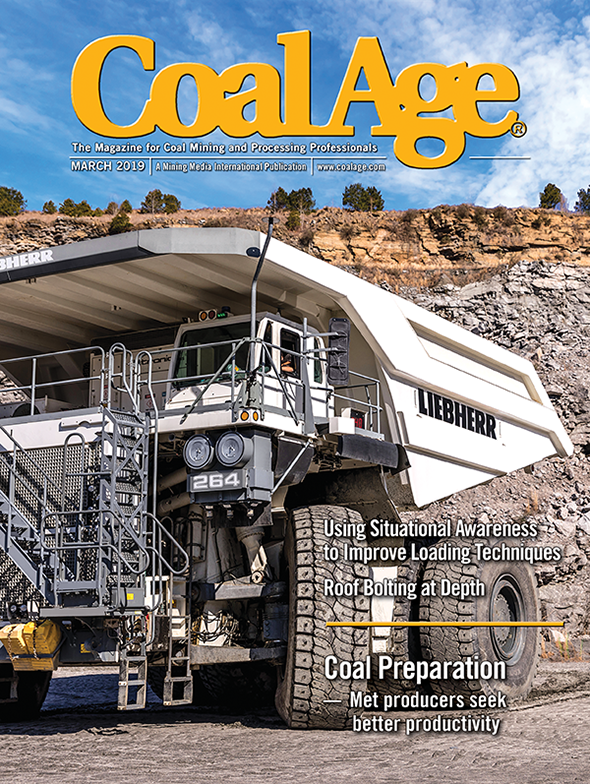 We’re pulling coal from five different pits, five different qualities, five areas, so it’s vital for us to be able to blend to the right recipe,” said Steffen. While the U.S. coal industry is struggling to win the hearts and minds of the nation, North Dakota’s industry seems to have earned its social license to thrive, though it might seem like an unexpected place to find the cleanest coal plants in the U.S. Of the seven coal plants in the region, all have or are installing scrubbers, one sells its by-products and captures significant portions of their CO2 and pipes it to Canada for enhanced oil recovery. And they sell their CO2 too. “Almost all the power plants out here are installing hundreds of millions of dollars of environmental controls. They are planning for another 30 years of stable, base load generation. Long term, additional technology will be developed for all these plants to have CO2 management solutions,” said Boeshans. Maybe for this reason, the harsh spotlight being placed on coal keeps missing the region. North Dakota’s mines are safe, have an excellent land reclamation history, welcome bus tours full of school kids and don’t hide their operations. Likewise, the power plants see thousands of tourists annually, especially Basin Electric’s Dakota Gasification Center which has just completed a multi-million dollar renovation of their already huge visitor’s center. To better harness the energy inherent in the local deposits, the Coal Creek power plant is working on a process to dry lignite and has partnered with NAC to form Great American Energy, in the hope “that this company will ultimately market and ship beneficiated coal, largely within the state, perhaps up to a few million tons a year,” said Crooke. Drying refines the coal with waste heat to drive moisture out of the lignite, which is roughly 38% water. Great River Energy is building a small 66-mw power plant near Jamestown, N.D., that will develop and perfect the technique. Funds for this project were released in 2003 from the Department of Energy in one of the early rounds of clean coal funding rounds. If the prototype is successful, Coal Creek hopes to sell the technology to other utilities. While scientists and engineers, aided by federal funds, experiment with new ways to use lignite, NAC is also hoping to open up and develop their Otter Creek reserves, which are located in the middle of the coalfield between Falkirk and Freedom. Unlike NAC’s sister operations and all of the other mines in the area, if and when it comes on-line, Otter Creek will sell coal regionally as a merchant sale mine, provided that the market develops to justify the investment. Additionally, in the southwestern part of the state, Great Northern Properties is fighting to build a coal gasification plant near Dickinson. Like many mines nationwide, North Dakota’s lignite mines are experiencing turnover as first wave employees, hired with the opening of the mines in the late 1970s and early 1980s, are approaching retirement. Freedom typically brings on new workers through its summer program. They observe them during the season, and often hire the full time employees through the ranks of this seasonal help. Of course, some of their specialty skilled workers, such as welders and electricians, come on differently. This year there are 20 to 30 “new faces” that are going through the provided 40 hours of safety training and other coursework. BNI has 135 employees, 100 who are hourly, and is also seeing the effects of a wave of retirement. “Over the last four years, the average employee age has dropped to 47 years from 52. These are great jobs for this part of the country. We have the best wages and benefit packages out there and we’re still recruiting. 2009 has been one of the biggest years of hiring we’ve had since we first started up. We have hundreds of applications on file, and we’re lucky to have this much availability of qualified personnel,” said Boeshans. Buchsbaum is a Denver-based freelance writer and photographer specializing in industrial subjects. He can be reached through his Web site at www.lmbphotography or by phone at 303-746-8172.